G-SHOCK Singapore has officially announced the release of its new Carbon series, GA-2000. 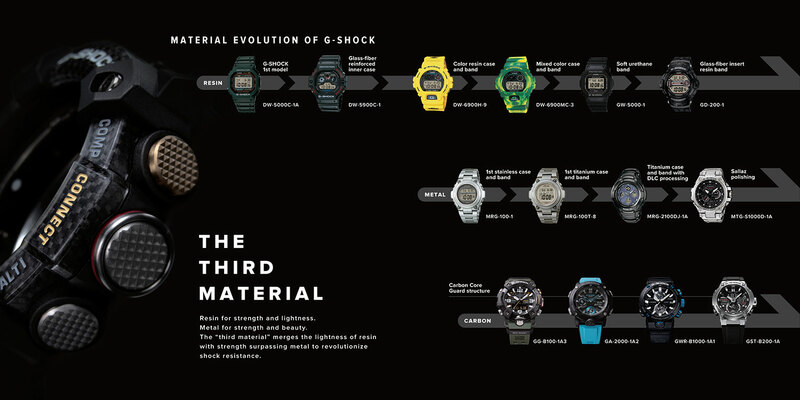 Introducing Carbon as its “third material”, G-SHOCK has revolutionised shock resistance by merging the lightness of resin with the strength of metal. This makes the GA-2000 the lightest watch in the G-SHOCK series. 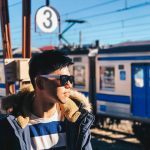 Carbon fibre is ten times the strength of iron yet one-fourth its weight and is strong against degradation, deformation and temperature fluctuations. By leveraging on these properties of carbon fibre, the GA-2000’s new Carbon Core Guard structure integrates the case to deliver superior shock resistance. As a result, the GA-2000 boasts high strength while weighing only 64 grams, making it the perfect watch for rapid and high intensity movements. The GA-2000 features a stainless-steel panel back together with a fine resin glass fibre case back. It also features a Super Illuminator function that lights up both the dial and LCD with high-intensity light, maintaining watch readability anywhere. A slide lever type mechanism is also built into the band base to make for a smooth and simple replacement. Through its unique multi-coloured resin straps, the GA-2000 was G-SHOCK’s shout-out to Singapore’s vibrant hip hop and street dance scene during the renowned local hip hop street festival *SCAPE Radikal Forze Jam (RFJam) between 9 to 17 March. With G-SHOCK on board as the official Toughness Partner, the festival, in its 12th edition, became the launchpad for the GA-2000. 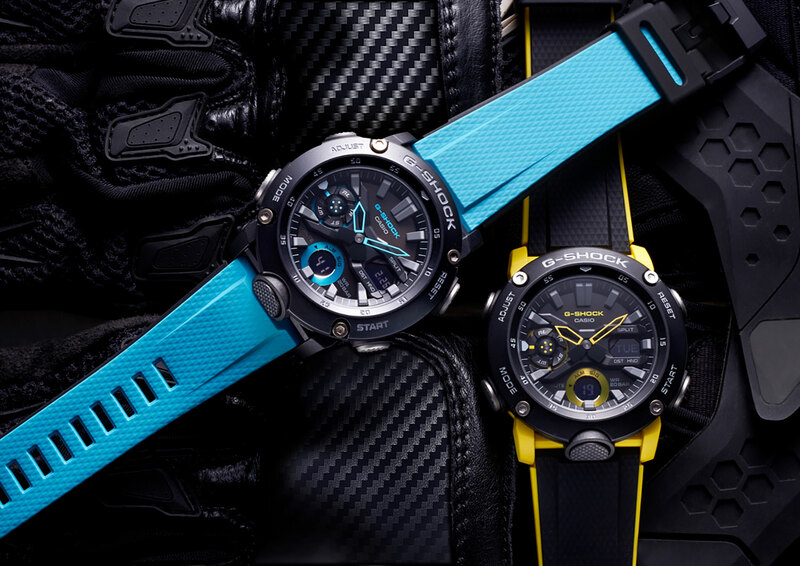 Retailing at S$189, the blue and yellow units of G-SHOCK’s Carbon series GA-2000 are now available at all Casio G-SHOCK boutiques and selected dealers.